There is no real way to prepare yourself to move from one country to another. Driven by hope, most people leave their lives behind without any certainty that somewhere else will be any better. Immigrating is not easy, regardless of the means, and immigrating to the United States can be terrifying. Amigos Mentores had their fourth annual conference Nov. 29, with “Building the Dream” as the theme. 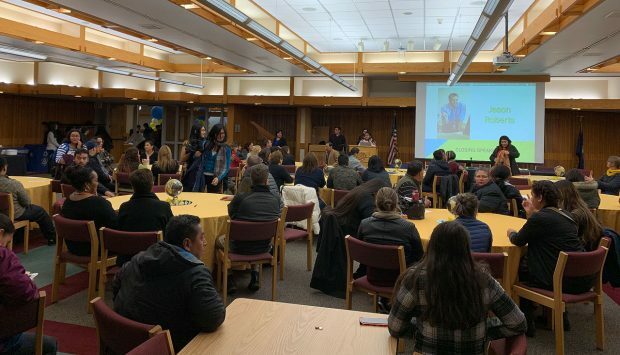 The event included sessions for Immigrant Stories and Scholarship Options, as well as speakers Mark Alvarez and Jason Roberts. The conference ended with an adorable performance by the Asociacion Venezolana Americana de Utah. The conference, and other events like it, have become very important for the growing Latino community in Utah. They provide support and integration to people who often find themselves detached and falling behind because they don’t have proper counseling on how to succeed. 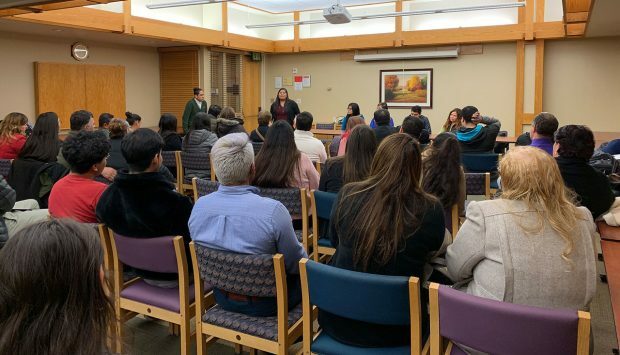 The tips given for scholarship options gave much-needed advice to Latino students who struggle to find ways to finish their education, as some lack documentation for many scholarships or access to funds to continue without them. 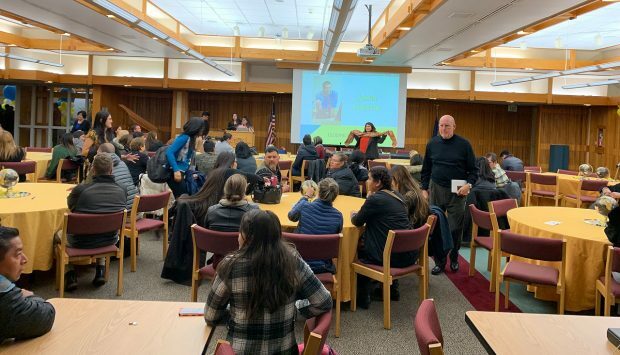 The conference was mostly in Spanish, which helped a lot of Latinos feel more comfortable and able to ask questions without fear of miscommunication. The immigrant stories shared were refreshing. It is always good to hear that you are not alone, and others have experienced the same things you might be going through. “If your hope dies, so does your dream,” one Immigrant Stories panelist said during their speech. Mark Alvarez, who is a licensed attorney in Utah and Maryland, spoke about his experience learning Spanish as an adult in Spain. “We should be most appreciative of people who have learned another language,” Alvarez said. He also spoke of following dreams and overcoming challenges. Most of us are immigrants, and it was a relief to see someone speaking about how hard it is to immerse in a different culture, and having to survive while learning a new language. Alvarez brought up that often we feel ashamed because we don’t know how to say something. He said we must be proud that we are learning, and we must look past that shame. My personal feelings towards this event are a little harder to explain. When I arrived, I sat at the back of the room and watched people pour in. I watched the speakers and took notes. When the immigrant stories were shared, I thought long and hard about my own story. When I immigrated to the United States, I was twelve. Like Alvarez, my parents were already middle-aged adults who had to learn a language after having lived half of their lives somewhere very different. They had a much harder time, and six years later, they still struggle. Food was provided toward the end of the conference. That is when I felt most at home, and my heart swelled up with happiness. Luz Gamarra, the woman that helped start Amigos Mentores, was going around the room making sure everyone had food. She noticed I didn’t have any and two minutes later, someone brought me a plate of rice and beans with chicken and a tortilla. She acted exactly like any “tia” I have ever met in my home country; she gave me food even though I gestured I was okay. That made me feel like I was back in Brazil; even the food tasted of home! No tia in her right mind would leave someone without food (even if they say no). The word “tia” means aunt in Portuguese. These meetings are extremely necessary for this community. It can be hard to leave your home and family behind; it is easy to find yourself feeling alone and that people don’t understand you. Even more than that, your heart yearns for a little bit of the comfort of your own culture. Thanks to conferences like this, the public can gather together and teach each other valuable skills to better our lives while giving that little touch of home we so urgently require.